Studies show many Americans are, and it’s doing absolutely no favors for their health or relationships. In fact, stress has been directly linked to issues such as high blood pressure, a greater likelihood of contracting colds or the flu, and fights in relationships. Who needs any of that? If you’re stressed, the best remedy is to take a break and indulge in a bit of pampering. And what better place to pamper yourself than in the Smoky Mountains? #1. Savor the peace and quiet. Moms — you know what we’re talking about. #2. Explore nature (without getting dirty). You don’t have to be an avid outdoors man or woman to enjoy the scenery and fresh air of the Smoky Mountains. They’re for everyone. Even if you’re a “city slicker,” consider getting back to nature by going on one of The Quiet Walkways of Great Smoky Mountains National Park. You might even choose to stay in your car — easy to do on the beautiful Roaring Fork Motor Trail, for example, which takes you winding up gorgeous Piney Mountain to an overlook at 3,000 feet. Several overlooks are featured along the trail as well, and bear sightings are frequent. Who said The Smokies had to be about nature? You won’t want to miss the breathtaking views, of course, but why not take them in on your way to town for a shopping spree? There are numerous malls in the area, featuring all of your favorite stores, and the eight-mile Arts and Crafts Loop is always a big draw in Gatlinburg. Fine, hand-made leather works, wooden crafts, clothes, and even handmade soap (with some of the most luxurious scents you’ll ever smell) are just some of the featured items you can buy. #4. Spoil your taste buds. In the Smokies, the food is as delicious as the mountains are beautiful. And there’s truly something for everyone’s taste. Consider, for example, delicious old-fashioned cooking at The Old Mill or some fresh fish or a steak at The Bullfish Grill. Of course, there’s also plenty of yummy pizza places in the area as well. Dine in … or … order out. After all, who wouldn’t love to enjoy a fine meal at home in pajamas every once in a while? #5. Don’t go … anywhere. Not in the mood for shopping or walking a trail? Hungry, but not enough to put your heels on and head out? Don’t do anything, and let the pampering come to you. If you’re staying in one of our cabins, for instance, have spa services come to you. If you’re with your special someone, you can also indulge in a relaxing massage session together in your cabin with one of our Romance Packages — perfect for honeymooners or those celebrating an anniversary. You can also make a fire and pop in a movie, relax on your deck overlooking the mountains, or get cozy in your very own heart-shaped, in-room Jacuzzi. Hungry but don’t feel like heading to the grocery store? No problem. You can use a local service to shop for you and deliver your groceries right to your door. You can even have your own personal chef create a culinary delight for you in your own cabin. 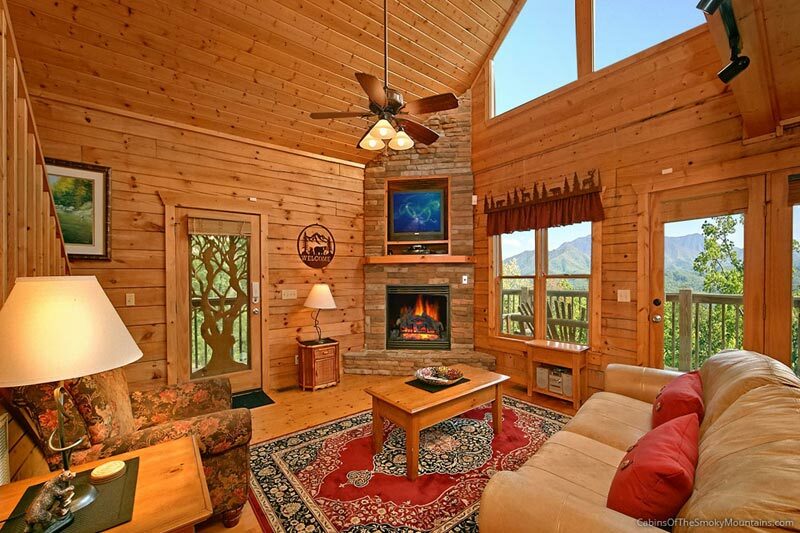 Book Your Pampered Getaway to The Smokies Today! Whether you’re a busy parent, stressed from work, or just need to reset, some much-needed pampering in the Smoky Mountains is the perfect remedy. Everyone deserves to indulge every once in a while. And as soon as you’re here, you’ll breathe a huge sigh of relief (that’s stress leaving your body). Speaking of pampering: as our cabin guest, take our book of Gatlinburg coupons & Pigeon Forge coupons, worth over $400 at some of the best local attractions, as our free gift to you. 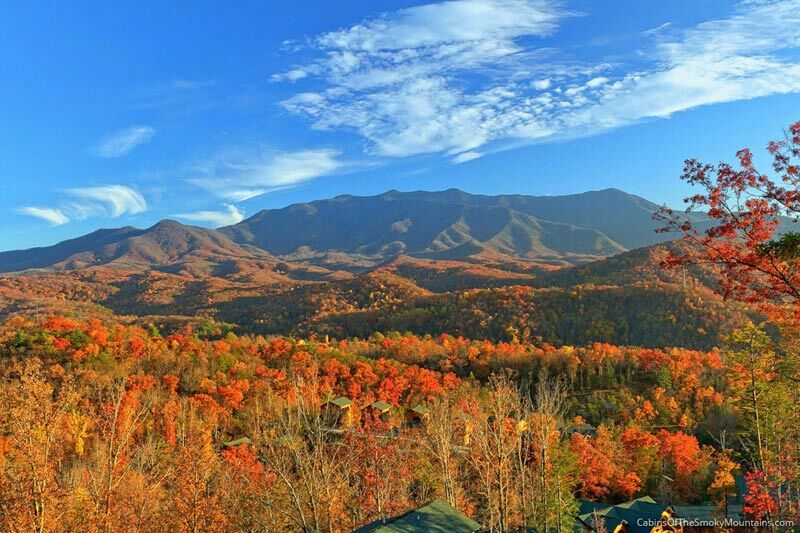 And if you’re short on ideas for all the wonderful ways you can treat yourself here, check our multiple guides to Things to do in Gatlinburg and the surrounding area. 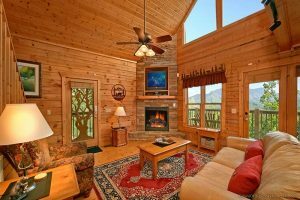 Make your reservation today, for your Gatlinburg cabin rental or your Pigeon Forge rental cabin. You deserve this.